What Does Jimmy Fallon Do When He Chips a Tooth? 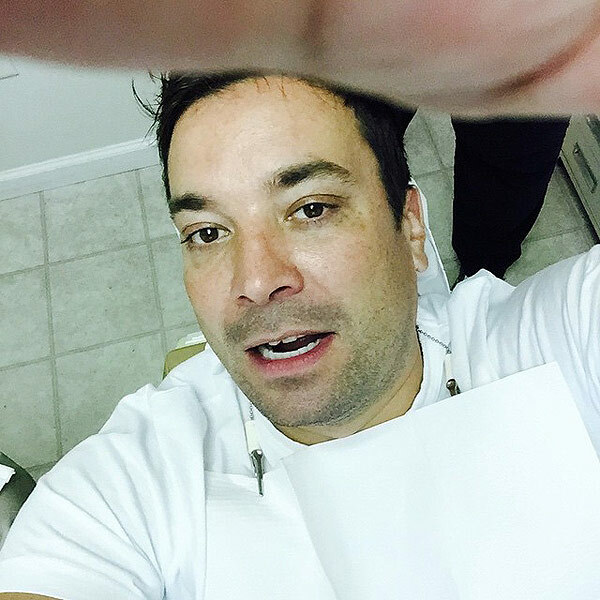 Jimmy Fallon, the Tonight Show host, chipped his tooth and posts a selfie while in the dental chair. He chipped his tooth while trying to open a tube of scar tissue repair gel. The gel was for a previous finger injury. My hygienist’s mom had a similar accident happen to her. She had arthritis in her fingers and was trying to open a bottle of Aleve pain medication. Her fingers were not strong enough so she tried using her teeth. One of her lower front teeth then fractured. When I saw her, one-third of her tooth had broken off. Using our hi tech Cerec Cad-cam equipment, we were able to fabricate and bond a porcelain veneer in one visit. The total visit took an hour and a half. What should you do when you chip a tooth? Call our Poway dental office and we will get you an appointment. Cosmetic dentistry is anything that involves the front teeth because they show every time you smile. We can restore a tooth to its natural shape as if nothing had happened to it. If the fracture is small then cosmetic bonding can restore the missing portion. We use composite restorative material that very closely matches tooth structure. If the missing portion is significant then a porcelain material may be needed. Either a crown or a veneer can be made to bond to the remaining structure.